HOW DOES MY TOWN OR BUSINESS BENEFIT FROM SINGLE-STREAM RECYCLING? Every ton of disposables that your town or business recycles is a ton your town or business does not have to pay for to dispose as trash. Single-stream is helping us recover and re-use valuable materials. Some communities have increased their recycling volumes by as much as 100 percent within a year of beginning their single-stream programs. Once the single-stream materials are collected by Harters they are taken to the Green Circle Recycling’s Material Recovery Facility (MRF}, where the recyclable materials are separated and sent to various markets for sale. WHAT DOES SINGLE-STREAM RECYCLING MEAN FOR YOU? You no longer have to sort glass, plastic, paper and metal within your recycling bin. Just mix all your recyclables together – they will be sorted once they’re delivered to the recycling center. 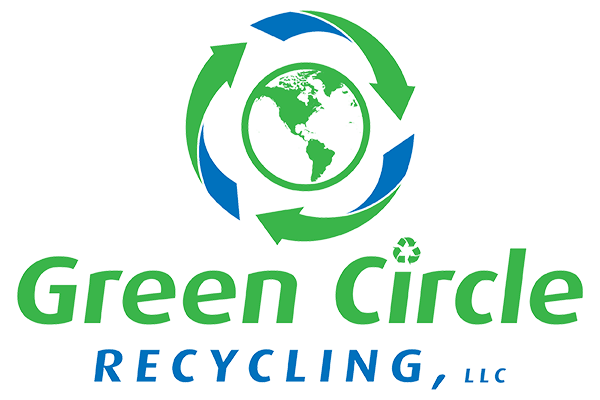 Green Circle Recycling mission is to recycle the recovered materials. The MRF handles single-stream collected recyclable materials from both residential and commercial sources, including 15,600 households in La Crosse, 6,700 households in Onalaska, and households in other towns and cites in the region. The 21,500-square-foot facility is lit via LED lights throughout, with installed natural panels reducing the need for artificial light. The MRF is also well insulated to retain the heat produced by the facility’s equipment during the region’s tough winter months and has various features installed to manage storm waters.